This page may require cleanup to meet basic quality standards. The specific problem is: Specify which aspects apply to sourceport vs wrapper version.. You can help by modifying the article. The discussion page may contain useful suggestions. Modern source port of System Shock offering features such as hardware acceleration, improved widescreen, in-game control rebinding, and more. System Shock, the biggest forum about the game. 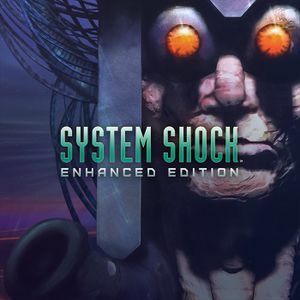 Includes System Shock as Classic Edition. Includes System Shock as Classic. Can be played without Steam by using the command-line argument -no-social. Matches the text to match with the spoken audio. Updated to work with the Sept 2018 source port. Improves music playback. Windows 10 users may want to see MIDI mapper workarounds First. Note that this mod is currently incompatible with the Sept 2018 source port release. Improves texture quality whilst not suffering from the slow downs the DOS version had. Download only "hi-res3DSS.rar", ignoring "v2" - version 2 only adds adding parameters, useless if you don't want to mod the game. Saves made before the Source Port Update are stored in <path-to-game>\res\data\. Runs in Borderless Fullscreen by default. MSAA x2, x4, x8 and x16. The game crashes when uncapped. Separate slider for cursor and freelook sensitivity. Few people know that System Shock has (and always had) a shortcut for both reloading and switching alternate ammo types (Alt+← Backspace and Ctrl+← Backspace). Unfortunately these keyboard shortcuts are less than convenient for modern standards. Luckily they can be changed in Enhanced Edition. Requires R (stand) to be rebound for use by reloading. Additional binding that may be worth looking at and changing are Alt+' (throw grenade), Ctrl+' (next grenade), Alt+: (use patch), Ctrl+: (next patch) and Ctrl+A (automap). Place both the batch file and the compiled app into your System Shock: Enhanced Edition installation folder and use the batch script to launch the game. If you modified the key bindings you may have to modify the script as well to be compatible with your new layout (! is for Alt, ^ is for Ctrl, + is for ⇧ Shift). Making the Steam launcher and GOG Galaxy open the scripts instead of the executable alone may require compiling the batch script into an exe, renaming sshock.exe (don't forget to edit the batch to reference the new name prior to compiling) and name the newly compiled batch in it's place. Music, Digital FX, Audio Message Volume. Toggle Messages setting under Audio Options. Words are not exact representations of audio. Fix available in the from of Gigaquad's Enhanced log texts mod. System Shock: Enhanced Edition has MIDI playback hard-coded to Device 0. Open DOSBox and run MIXER /LISTMIDI to get a list of your MIDI device IDs. Search for the first instance of hex values 6A 00 6A 00 6A 00 6A 00. In HxD this should appear at Offset 000019C0. Edit the last digit to that of your desired MIDI device ID. Using Device 5 as an example, this would be: 6A 00 6A 00 6A 00 6A 05. Move the game installation path to somewhere that is shorter than 64 characters. Download the archive.dat file and replace the one found in \res\data. The tool reactor-rng can also be used to patch a game that is already in progress. Note: This fix can cause issues with the automap MFD on the second level. The display can become off-center and significantly zoomed out, preventing the player from using the mini-map. Added in source port update. Utilizes SDL 2.0 for output. Edit shock.ini and set SoftRenderer to on. The 6 September 2018 source port introduced official mod support. The very first full fan made singleplayer campaign for the original System Shock in over 24 years! A challenge room that pit the player up against Cortex Reavers using a Laser Rapier; kill as many as you can before you die, there is no restoration chamber. ↑ 2.0 2.1 File/folder structure within this directory reflects the path(s) listed for Windows and/or Steam game data (use Wine regedit to access Windows registry paths). Games with Steam Cloud support may store data in ~/.steam/steam/userdata/<user-id>/410710/ in addition to or instead of this directory. The app ID (410710) may differ in some cases. Treat backslashes as forward slashes. See the glossary page for details. ↑ "The Source Port Update" is available now!